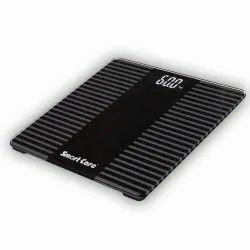 In our extensive array of medical and surgical instruments & accessories, we have also added a reliable and durable assortment of Weighing Scales. 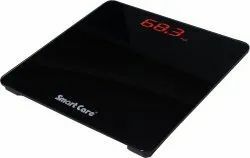 Sourced from some of the prominent vendors of the market, our range comprises Smart Care Electronic Scale, Smart Care Personal Scale, Smart Care Glass Top Scale, Smart Care Digital Baby Scale, Smart Care Baby Scale Mechanical, Smart Care Adult Personal Scale and many more items. All these products are carefully manufactured by our vendors utilizing high grade raw material and components in adherence with industry defined norms and standards. With the rapid changes in lifestyle and the dearth of time for exercise, people tend to gain weight in a relatively small period of time. 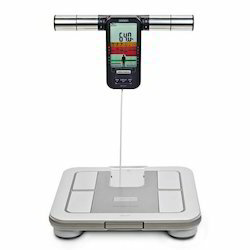 To tackle the trouble of obesity and keep a tab on your weight levels, here is the Omron HBF-375 Karada Scan Body Fat Analyzer that is a highly functional obesity measuring device. It boasts of an effective weight management plan where it exhibits a progress chart and same age weight comparison to curtail weight gain. 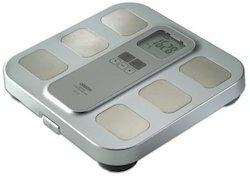 Featuring a full body sensing technology that generates an accurate analysis of the visceral fat level, body fat, body weight, body fat percentage, skeletal muscle percentage and subcutaneous fat percentage, this battery operated fat analyzer comes with a step on analyser function. 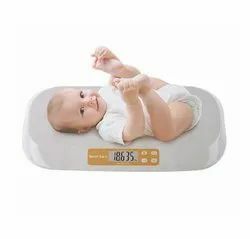 It is an ideal device for effective weight management since it displays body mass index to indicate the optimum levels of fat according to the dimensions of the body. 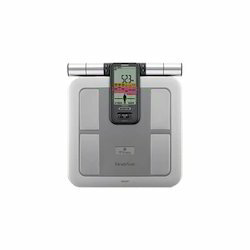 The Karada Scan Body Fat Analyzer comes with a body fat monitor and 4 memory presets which enable it to store the reading data of up to 90 days and help you track progress in weight loss. 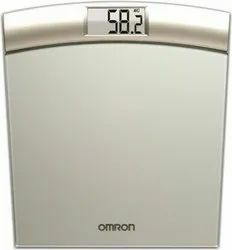 Our company has been successful in winning appreciation from the clients as one of the most prominent names in the trading of Omron Weighing Scale. 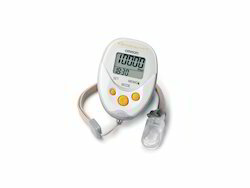 The Omron HV-F 128 Massager is an electric nerve stimulator that reliefs muscle fatigue. Designed to promote comfortable operation, this inventive massager is embedded with 12 automatic treatment programs. You could pre-set the desired program before commencing the massage session in order to acquire a comforting massage therapy. 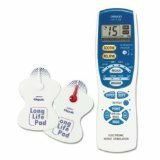 Body The compact Omron HV-F 128 Massager is in-built with a large LCD display to provide enhanced clarity and easy readability. This digital screen exhibits the amount of time left during the treatment session. Besides this, the display also shows the blinking bar that indicates massage frequency. You could set your desired level of intensity from among the 10 intensity levels with the help of the adjustable dial switch. Capable of treating several parts of the body, the Omron HV-F 128 Massager has 6 treatment zones and 5 special massage modes. By removing the film from the washable and long-lasting long-life pads, you could safely stick the electrode to the areas where you require pain relief. Adding to the comfort this lightweight massager from Omron is easy to carry and comes along with a trendy pad holder and a carry case. This device can be easily powered by pressing the On/Off button. 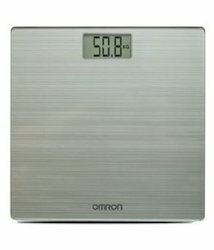 Furthermore, the Omron HV-F 128 Massager also consists of the Repeat Button. This button when activated is capable of repeating the previous treatment program. You could also choose from the four special massage types such as tapping, kneading, pushing and rubbing. Performance Created to relieve muscle pain the Omron HV-F 128 Massager can be used at the comfort of your own home. Every treatment program runs for a period of 15 minutes after which the device automatically ends the massage therapy. The Omron HV-F 128 Massager is crafted to offer numerous benefits such as improving blood circulation, removing muscle numbness, treating acute elbow and knee pain, soothing back pain or lower back stiffness and reducing foot fatigue.